With Readly you can read Best - UK Diet Special and thousands of other magazines on your tablet and smartphone. Get access to all with just one subscription. New releases and back issues – all included. 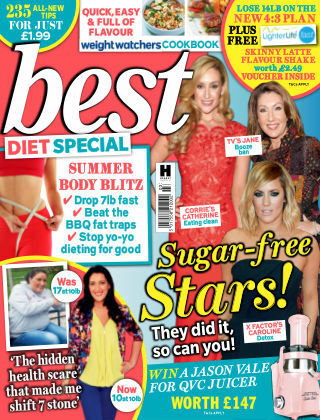 Get in shape for summer with the new Best Diet Special. From brilliant diet plans to help you drop a swimsuit size to delicious recipes that will help you fill us as you slim down. We've even included a 17-page Live Well section to help you look better, live healthier and feel fabulous.